It’s easy to get overwhelmed by all the investing jargon and the many investment options. This clear guide is just the tool you need to become a knowledgeable, confident, successful investor. 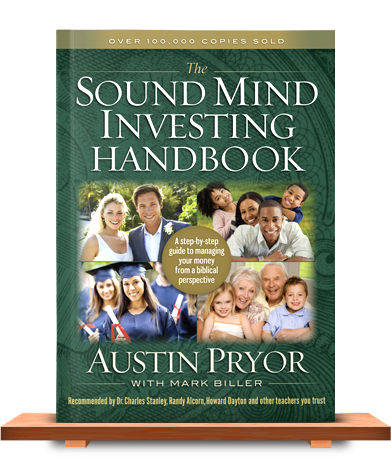 Join over 100,000 readers who have used the Sound Mind Investing Handbook to learn how to make the most out of what God has entrusted to them. You’ll learn the big-picture principles and techniques—the building blocks upon which successful investing plans are constructed. Too many investors focus their learning on specific investments, when in reality, it's mastery of these core principles that usually dictates the success or failure of an investment plan. You’ll learn what you need to know about investing, not all there is to know. Different people are in different seasons of life and have different comfort levels with risk. You’ll take a short, enjoyable investing temperament quiz to assess your risk tolerance. Pairing that with your investing time frame will help you customize an investment portfolio that best meets your unique needs. All of the lessons are worded in everyday "plain-English," and come in small, easy-to-digest portions. Also, you’ll find the layout and design of each chapter as clear, interesting, and easy-to-follow as possible. There's nothing new under the sun (Ecclesiastes 1:9), so you should not be surprised to learn that the underlying values and practical strategies taught in this book are merely the outworkings of concepts taught in God's Word for centuries. Investing in the 21st century, we may be tempted to feel we have grown too sophisticated for biblical lessons. In truth, the complexities and direction of the world point to our need for biblical truth as never before. Ordering is easy and shipping is FREE! For a limited time we are shipping the handbook for FREE! Simply fill out the online order form and pay only $19.99 — that's 20% off the retail price ($21.19 for KY residents). Pay by check? No Problem. For many people, investing is the most complicated and intimidating topic within personal finance. I wrote The Sound Mind Investing Handbook with that in mind. 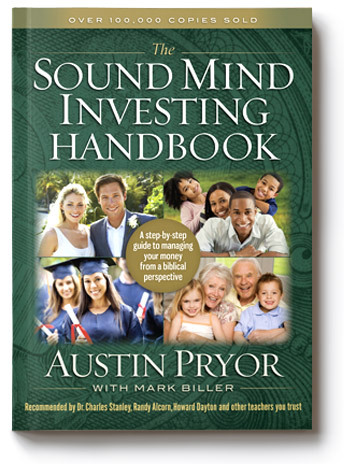 It’s a "next step" guide that will help you put godly principles of finance to work in your investments. Whether you're a beginner or an experienced investor, you'll benefit from stepping across the "bridge" between "theory" and "action." Ultimately, my prayer is that this book will help you have more so that you can experience the deep satisfaction of providing well for your family and generously supporting God’s work. In other words, I want to help you manage money well so that you can truly live well.